Susan's Disney Family: $200 Cash Giveaway! Make sure to enter. $200 Cash Giveaway! Make sure to enter. 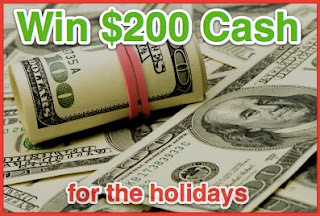 Tip Hero is giving away $200 in cash! Who couldn't use some extra cash this holiday season?